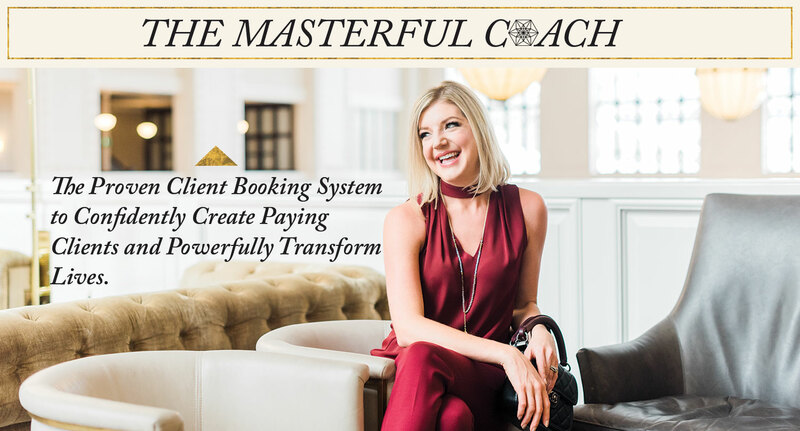 The Masterful Coach | The Proven Client Booking System to Confidently Create Paying Clients and Powerfully Transform Lives. I’ve taken everything I’ve learned from booking hundreds of paying clients and thousands of powerful coaching sessions with almost a million dollars in sales and distilled it down to the exact steps you need to take to confidently book paying clients and start transforming lives. The Masterful Coach isn’t theory or fluff. It’s the exact action steps I used to book my first 100K in paying clients that you can start implementing today. You’ll learn the actions you must start taking today, what you need to stop doing immediately and how to best support your new clients to transform their lives once they sign up with you. The result: A sure step-by-step process to consistently book paying clients and powerfully support them in achieving their goals. Give you the must-have client attraction tools that coaching certifications are missing. Show you exactly what a successful coach does daily in their business to make the best use of time, so you can too! Everything you need to start working with paying clients and nothing you don’t. No fluff, no filler, straight to the point action steps. 3 systems you MUST have in place before a client can say ‘Yes!’ to working with you. 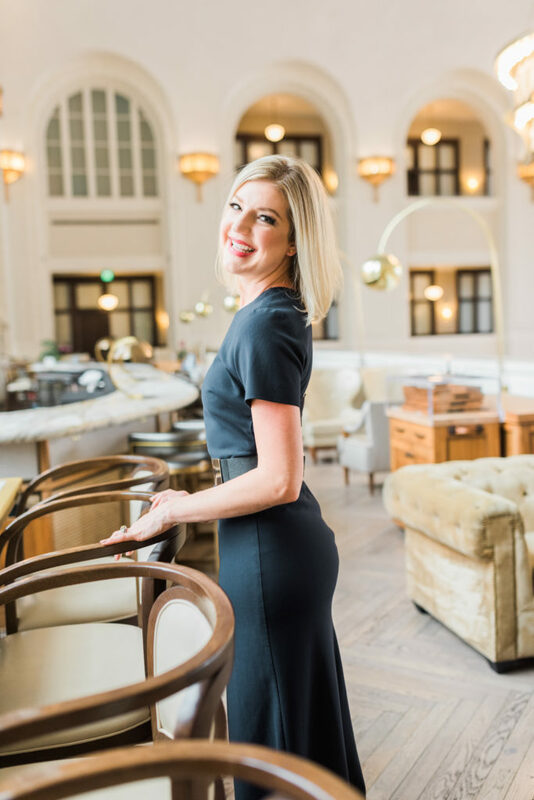 Why a new client Welcome Packet is a non-negotiable and what to include in yours so your clients feel fully supported and you’re ready to confidently coach. Masterful Coach templates of both the Welcome Packet and Coaching Contract I use to run a profitable business vs an expensive hobby. The 3 proven practices I’ve used for 3 years to consistently attract paying clients — and they’re free! Sales call scheduling mistakes most coaches are making that is wasting days of your time and the simple, yet powerful, practice to fix it today! The powerful practice I recommend you always use to start and end coaching sessions so your clients feel completely supported and clearly see the results of working with you. Bonus: this often leads to referrals! The tool to use between sessions to keep a client accountable, get them back into their power and take the pressure off of you to “get them results”. You’re overwhelmed by all the marketing tools you’re supposed to use and want a proven step-by-step system so you don’t have to guess what to do next anymore. You already have an idea of what you want to coach on but you’re tired of giving your sessions away for free and are ready to start booking paying clients! You got a coaching certification but they forgot to tell you how to actually start working with clients and making money. You know your coaching is worth so much more but you’ve felt all over the place in your business which is messing with your confidence. You’re ready to streamline your business and only focus on money making activities instead of all the busy work. You dream of actually enjoying your sales conversations and knowing exactly what to say without feeling salesy. You’re tired of your negative thoughts draining your energy and making you feel broke and not good enough. You want to know you have the necessary systems and structures set up in your business so you look (and feel) like a professional coach. You’re committed to spending the time to set up your own proven client booking system that will support you in creating paying clients and transforming their lives for years to come. 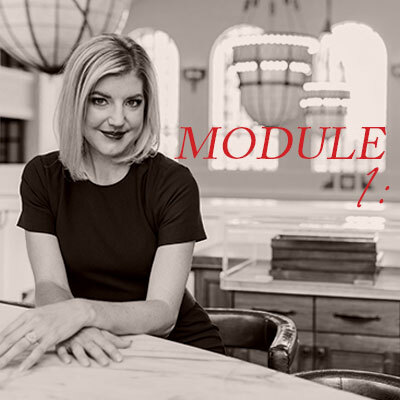 You love that you’ll have access to personalized support on live coaching calls and lifetime access to all the call recordings so you can learn from a masterful coach who already has years of experience in selling out coaching programs. Are you shaking your head ‘Yes’ to one, if not all, of the above? Then I can’t wait to welcome you to The Masterful Coach and personally support you in implementing the proven client booking system that has helped me create almost a million dollars in my coaching business so far. 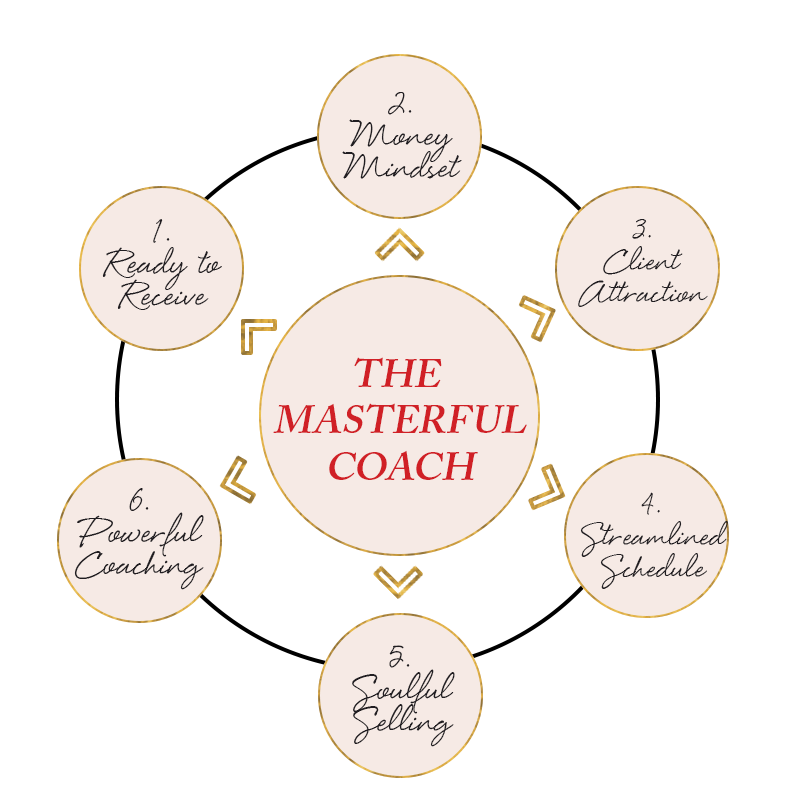 Click here to sign up for the Masterful Coach today! It was just a few short years ago when I discovered coaching and knew it was the work that not only I wanted to do, but that I was meant to do, and I’m guessing you feel the same. 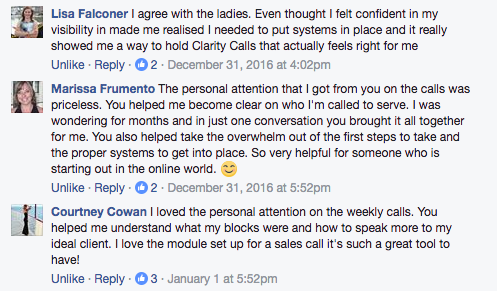 I offered free coaching calls, created my packages and built a sales page. But, where were the clients? I was the best kept secret, which is the worst thing to be online. Through years of trial and error I discovered the steps that have now become my proven system for consistently booking paying clients from $100 to $15,000 each. You don’t need complicated marketing, expensive paid advertising, to be active on every social media platform or to feel like you’re looking for clients all the time. And I can’t wait to share it all with you in The Masterful Coach! Is this program only for coaches? Not at all! The online marketing, business tools and money mindset work included in this program is great for anyone starting or growing an online business, whether you’re brand new to the online world or have been looking for a streamlined proven marketing system that you can use to grow your business starting today. Entrepreneurs from around the world including business coaches, photographers, wellness experts, psychics, equine coaches, branding experts, and so many more have used this program to grow their business in a strategic and authentic way. When does this coaching program begin? As soon as you sign up! 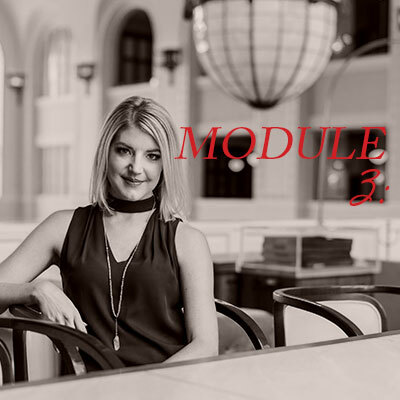 If you pay in full you’ll get instant access to ALL of the modules and the bonus resources to start implementing right away. 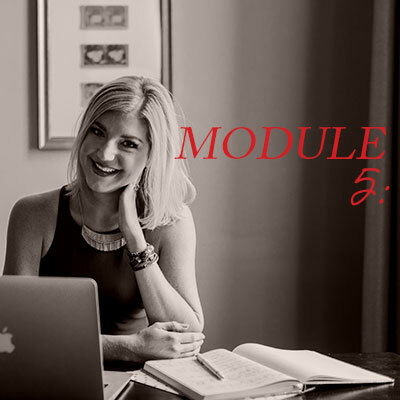 And if you sign up with the payment plan you’ll get instant access to the first module and webinar course with one new module released every week. There’s also a bonus coaching call on Thursday, October 19th when you take action fast. Will I have access to personalized support? Yes! For the first time in a year I’m including live coaching and personalized support with this program so you can get the answers to your biggest questions, build momentum and get results even faster. You’ll receive access to three months of live coaching calls (2 calls a month) for a total of almost 12 hours of coaching and support and these calls kick off on Thursday, November 2nd. All the call details are waiting for you on your membership page as soon as you sign up! Is there a payment plan? Absolutely! And when you sign up by Monday, October 23rd you’ll get access to the lowest price and a special extended payment plan, making getting access to this proven client booking system even easier so you can start connecting with potential clients ASAP. Will you be offering this program again? I haven’t offered the Masterful Coach Live in over a year and don’t know the next time (or if) I’ll be offering it live again. If you know you want access to this proven system, the bonus Webinar Course valued at almost $1,000 on it’s own and live, personalized support making this strategy work for you, then I highly recommend getting signed up today before the doors close. Can I get access to the Live Coaching Calls and New Webinar Course if I’ve taken Masterful Coach before? My clients are like family so I’ve sent you a special email invite with a very special discounted price so you can continue to grow your business with the new training, live coaching calls and personalized support you love! If you don’t see the special invite in your inbox just email my team at info@jessicacaver.com and we’ll send you all the details ASAP! And I’ve compiled all this and more into this step-by-step system to help you finally earn the money to start designing the life that’s meant for you. Don’t hesitate to email info@jessicacaver.com with any questions.